Sematext provides a single pane of glass and machine learning powered alerts for logs, metrics, traces and digital user experience data. The new Sematext agent is fully Docker Engine and Kubernetes-aware. (Re)written in Go, it has a minimal memory and CPU footprint. It also collects Kubernetes metrics in the most optimal fashion possible. When deployed to worker nodes, Sematext agent relies on Kubernetes leader election mechanism to elect one instance of agent to act as the leader agent, thus minimizing the agent impact. Such cluster agent leader collects cluster level metrics (deployment, pod, statefulset stats) and Kubernetes events, while other agent instances are in charge of gathering kubelet-specific metrics, as well as container metrics for workloads collocated on the node where the agent is running. Kubernetes clusters running lots of nodes will see the most benefit from this newly optimized Sematext agent. The new agent gathers information about processes inside and outside containers, thus providing data for the new Sematext process monitoring functionality. Network tracing uses Linux kernel-level eBPF to collect information about network connections being made and established. Unlike traditional pcap-based network monitoring, the eBPF approach incurs negligible overhead. 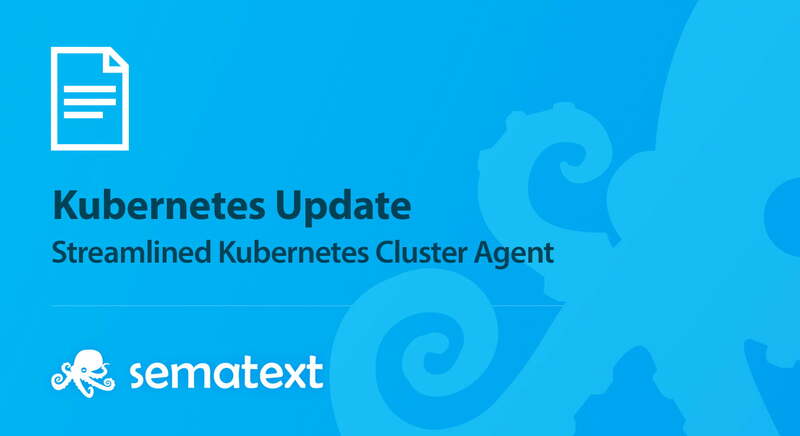 The new Sematext Kubernetes agent is available via Docker Hub and can be readily deployed in Docker Enterprise.